With unique two way flow engineering, a liquid filled sensing element and patented 'bonding' technology, the Myson range of thermostatic radiator valves deliver accurate and reliable temperature control for today's central heating systems. With a Myson 2-way valve, you are guaranteed years of trouble performance, enabling you to save up to 17% on central heating bills whilst helping the environment by reducing harmful gas emissions. Easy to install, the Myson 2-Way TRV range is the only choice for the professional installer, specifier, local authorities and the homeowner. 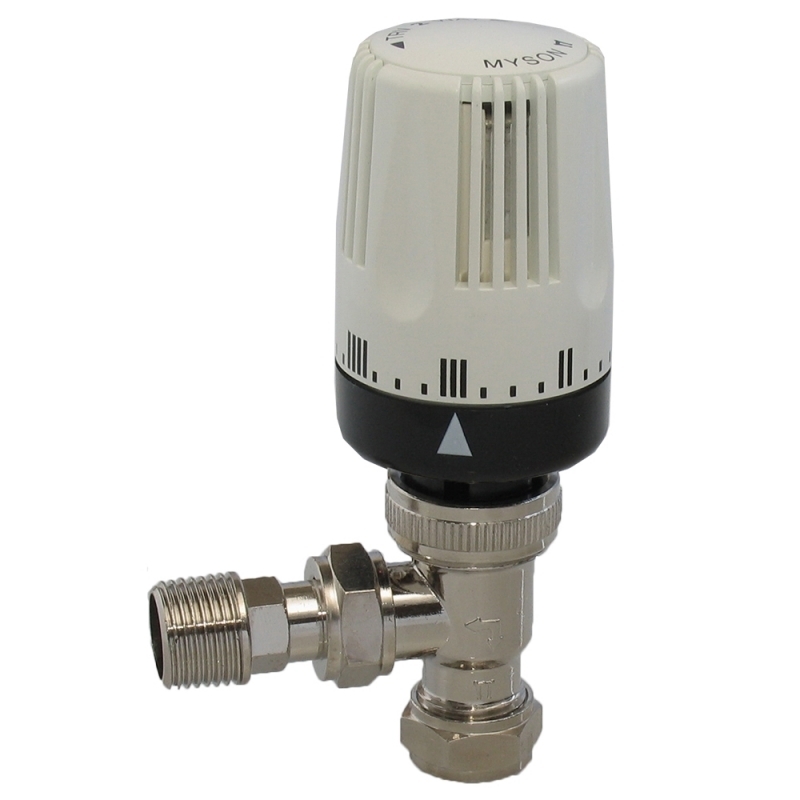 The Myson 2-way TRV's carry an 'A' grade European Thermostatic Efficiency Label (TELL), meeting the highest energy efficient standards.